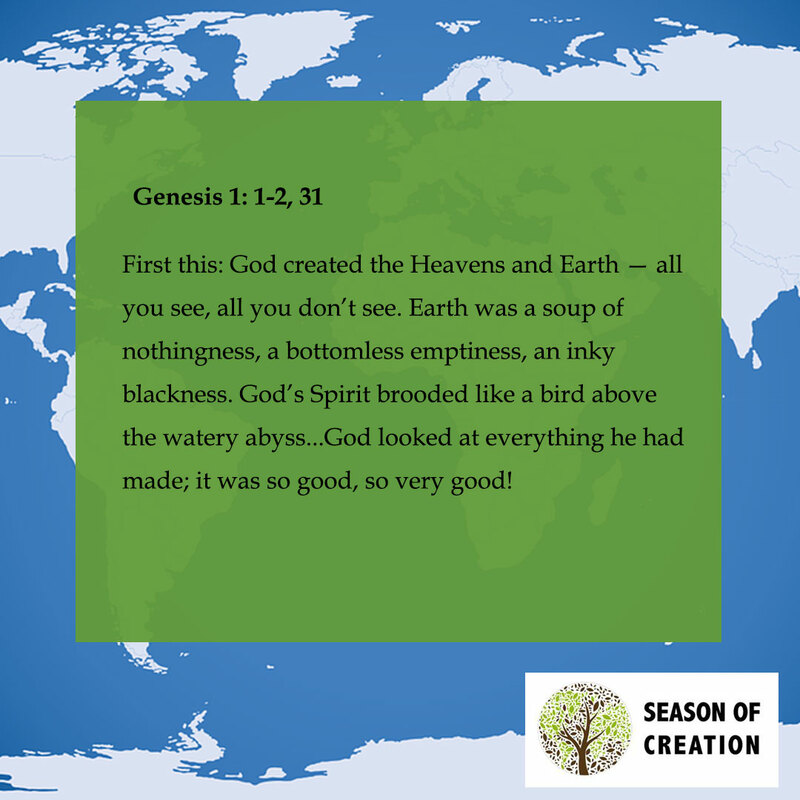 As we continue journeying through this Season of Creation, we offer the following scripture for your reflection. Be reminded today that God looked at what he made, and saw that it was good! How can we best recognize the goodness of creation? What action can you take today to help care for all creation?